Not every home is user-friendly. Your older house could actually be your dream home, but some things are just too inconvenient to deal with on a day to day basis. Older homes are notorious for lacking many of today’s modern conveniences, but don’t worry. The following are just a few solutions to some to the top homeowner complaints. Older homes offer very little when it comes to storage. Many won’t even have a closet in every bedroom. This is when it pays to be creative. Wardrobes have an antique look that will fit in beautifully with the older home styles while providing a place for clothing and accessories. Use decorative cabinets and cupboards in bathrooms, the kitchen, and living areas. They are perfect for tucking away dishes, linens, and towels as well as electronics. Homes did not always have an attached garage for the car, garden tools, and other odds and ends. If your older home lacks a garage, you can still create spaces to take the place of one. 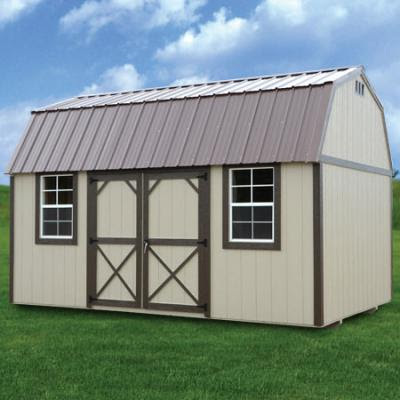 Sheds can be painted and decorated to match the house. They can actually be cute and charming while hiding all your outdoor equipment. You can also find metal carports online from sites like New Deal Metal Buildings that are perfect for parking your vehicle under and protecting it from the elements. Older homes can be quite drafty. Uneven heat is a top complaint of homeowners, but there are some simple solutions. Installing a new heating system would definitely take care of the problem, but it may not be in your budget at the moment. Try using space heaters. Today’s new models are designed to be much safer, and many look like actual fireplaces. They even have the look of burning logs to add to the realism. Others are made to resemble the old fashioned gas heaters. Both of these options will fit into the décor of an older home perfectly. These tips are simple and inexpensive, but they can make your daily life much easier. Whether your home is new or old, this information can add to your piece of mind. Once in place, you will find that your home truly is the house of your dreams.